Part of the task entailed clearing out books to donate to [insert charity of choice.] Cleaning the shelves also helped me discover some long lost books – like the one on blender cocktails (!) and the tour book to Seattle that I apparently bought fairly recently but don’t remember. And of course, the sh*t ton of Disney memorabilia books. 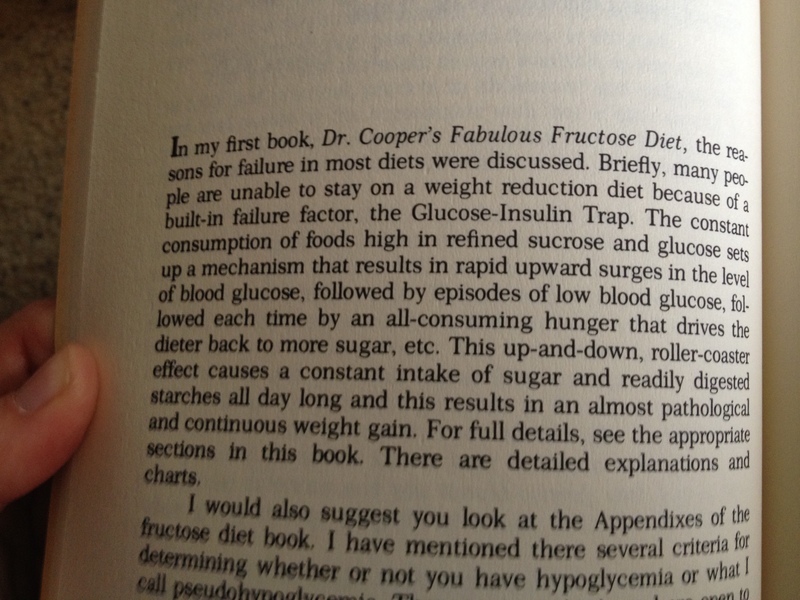 Oddly enough – this was a “thing” in the early 80s – purposely adding in fructose to meals so lose weight. The question was why did my parents have this for a newly diagnosed 2 year old? This maybe? The non-corn syrup version of fructose is apparently a low GI sweetener. I guess it would be similar to adding bananas to sweeten Paleo bread or Splenda to sweeten – well – anything. But rather than figuring out how to get food to naturally sweeten using non-chemical means, we add a teaspoon here… a table spoon there… of Fructose. 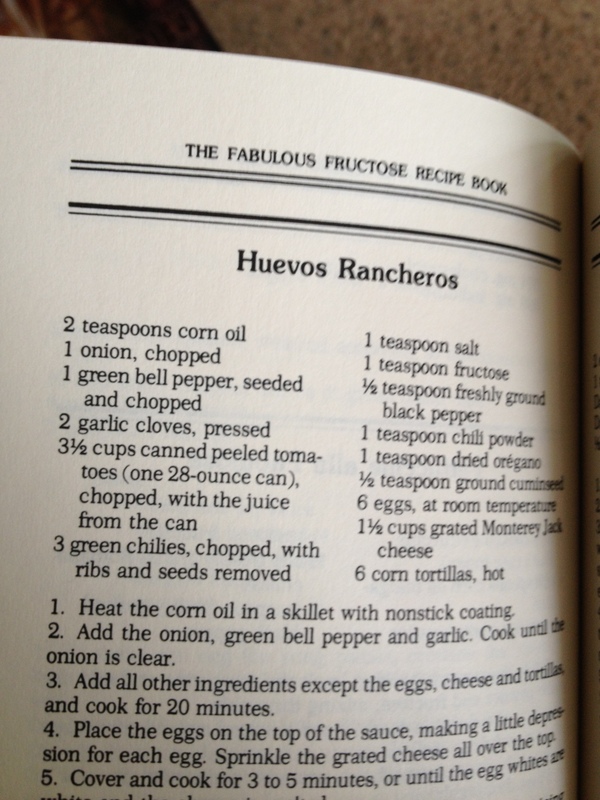 There were lots of recipes in the book for desserts… sweets… salad dressings…etc. 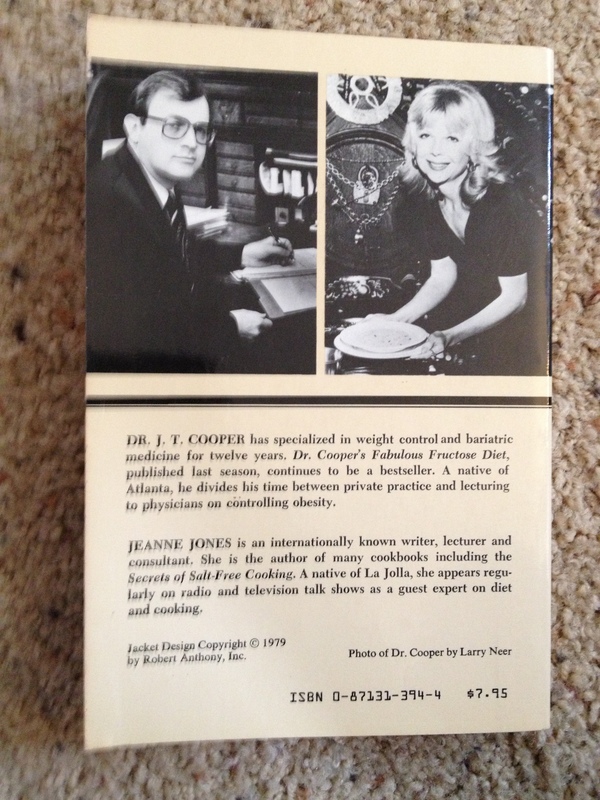 Plus, since this was a diet book to help people lose weight (questionable) there were dinner recipes for meats and fish. 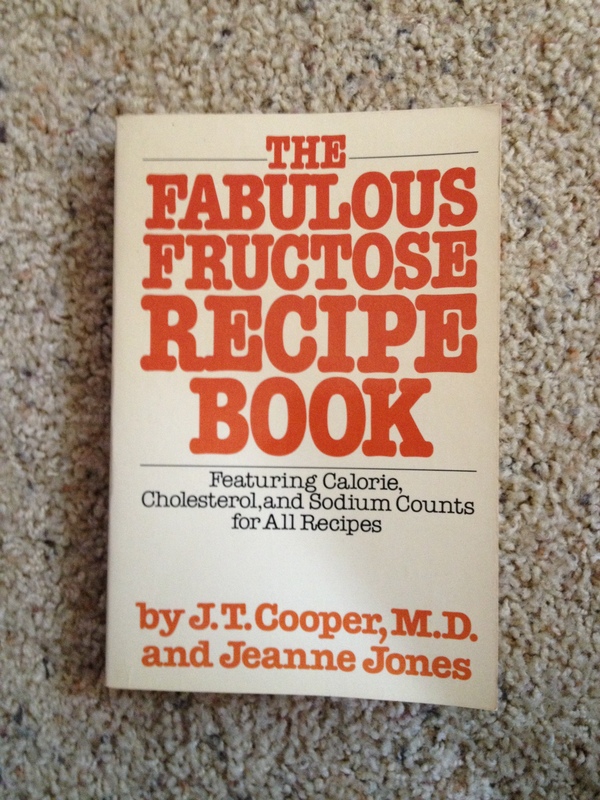 However – EVERYTHING* involved adding fructose. Needless to say – the book is going to charity. I’m curious if my parents every tried this fad and what it did to my blood sugars later. *Mostly everything. The tuna dishes were spared. Did I miss a post? Hello? You got a job? Congrats!